What quantity of that supply do you need? Revolution (selamectin) protects dogs against a variety of common internal and external parasites. 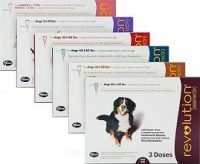 Revolution is the first FDA-approved, topically applied medication for dogs that prevents heartworm disease, kills adult fleas, prevents flea eggs from hatching, prevents and controls flea infestations, treats and controls ear mites, treats and controls sarcoptic mange and controls American dog tick infestations. Which Pets Should Use It? Revolution is approved for dogs age 6 weeks or older. Revolution is topical so you don’t have to “Pill” your dog. 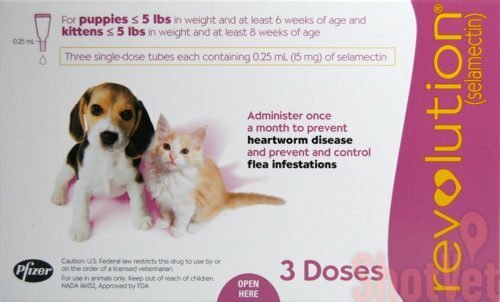 It helps prevent heartworm disease and kill fleas. Left untreated, heartworm disease can kill a dog and many pet owners don’t even realize their dog may be infected. Heartworm disease is preventable, and heartworm prevention in dogs is safe and easy to administer. Preventing heartworm infection is also far easier than treating it. Keep your dog on a heartworm preventive year-round. There is currently no generic substitute. Part your pet’s hair at the base of the neck in front of the shoulder blades until the skin is visible, and place the tip of the tube against the skin. Squeeze the tube 3 or 4 times to empty the entire contents onto the skin in one spot. Ensure that the tube is empty. 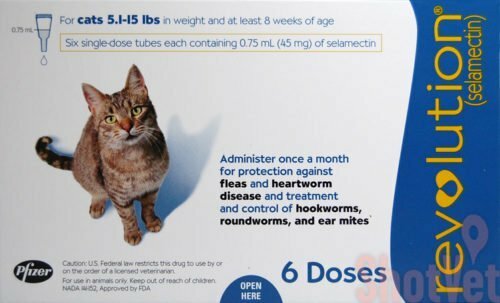 Do I Need A Heartworm Test? 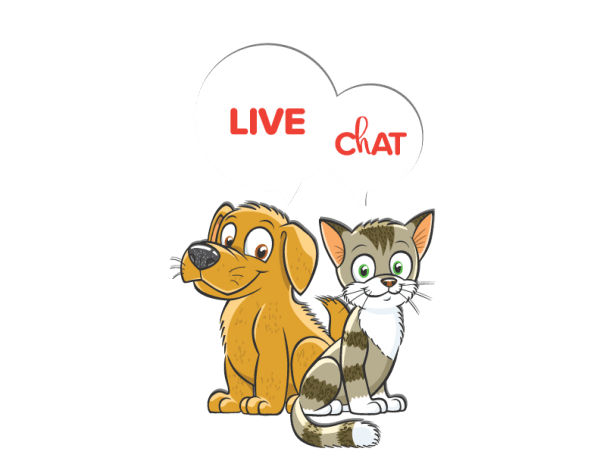 If you do not have a current Heartworm test on file, please contact ShotVet at 1-800-550-1391 and we will be happy to help you make sure you get your pet on heartworm prevention asap!